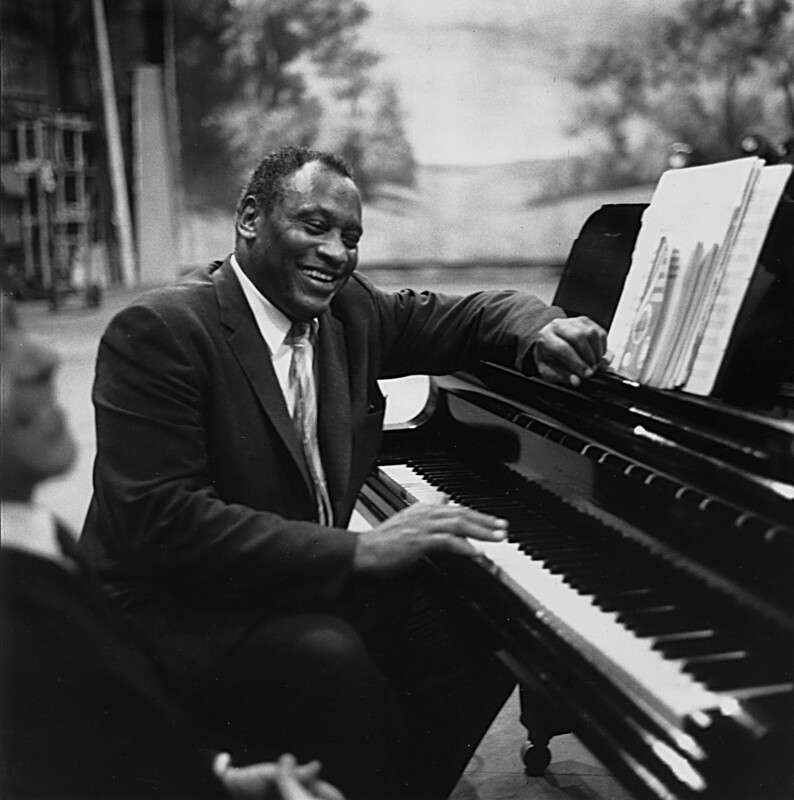 At the dawn of the Cold War, famed African-American singer and lawyer Paul Robeson reportedly urged his fellow black Americans not to pick up arms against the Soviet Union. That 1949 speech would cost him almost everything. When the racial situation in post-Depression America deteriorated, the black population looked for a friendly shoulder in the fiercely anti-racist Soviet Union. By 1932, half of the African-American population was out of work. Some cities in the North saw calls to fire non-whites as long as a white person was out of a job. Over in the South, racial violence escalated sharply in 1933, with instances of lynchings soaring to 28 from eight the previous year. Meanwhile, in the USSR, the anti-discrimination Article 123 was the face of colorblind internationalism promoted by Vladimir Lenin – one that, for a time, provided a voice to the oppressed, wherever they may be. 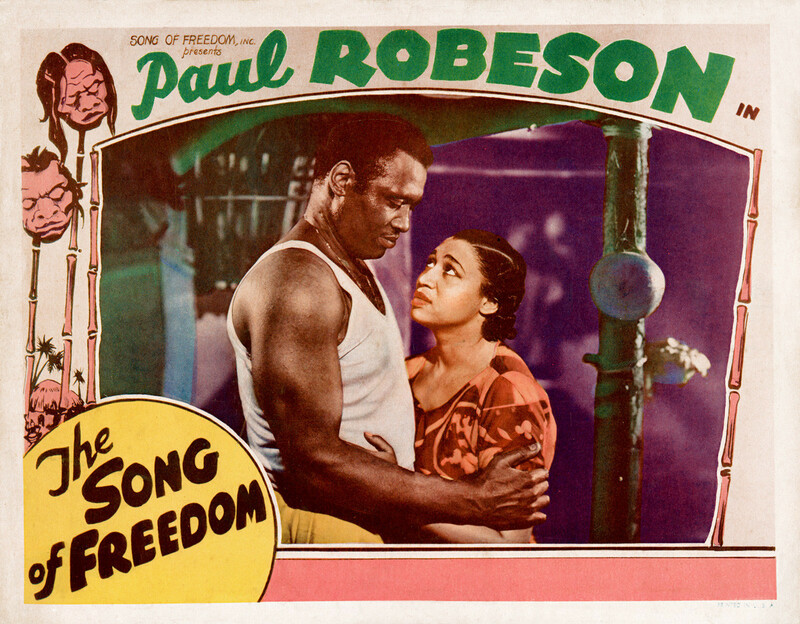 People like Paul Robeson, who was so enthralled with the country that he would go on to record his rendition of the Soviet anthem in 1949. The entire nation was enchanted by his voice, which he often lent to folk Russian songs. The majority of African Americans who came to Russia in the wave of Depression-era immigration were seeking a better life. The USSR was looking for educators, engineers, agricultural specialists and other skilled workers. The experience was a success: not only did they report being treated with dignity for the first time, they also found good jobs, with benefits and vacations. Some 18,000 Americans answered the Soviet call in the 1930s, according to an LA Times interview with Boston University history professor Allison Blakely. For a time, Robeson was the most famous African American in the U.S., possibly, the world. His songs would be translated into 25 languages across four continents. This earned him the title of citizen of the world, with friends such as African leader Jomo Kenyatta and India’s Jawaharlal Nehru, as well as Russian Jewish intellectuals of the time. The baritone’s family was no stranger to hardship, his father being a runaway slave and his mother hailing from an abolitionist Quaker family. Robeson, therefore, was very vocal about discriminatory and divisive U.S. policies of the time. As Robeson’s fame grew, so did his views on the escalating Cold War with the USSR. It didn’t take long for this activism to result in questioning by the House Un-American Activities Committee (HUAC), and for him to be labelled a Communist. Soon after, 80 of his concerts were cancelled, while two shows in New York were attacked by racist mobs, with state police refusing to intervene. "I'm going to sing wherever the people want me to sing...and I won't be frightened by crosses burning in Peekskill or anywhere else,” came his response, as cited by CPSR. The 1950s were different. Dissent was pathologized, the “Red Scare” spread like wildfire. In wartime, Robeson’s openness about the Soviet Union had scarcely caused a stir – the U.S. was a Soviet ally. Even the criticized Molotov-Ribbentrop Pact - seen by Robeson as a favorable way to stop the Nazi onslaught in the absence of any cooperation from Great Britain and France - was not used against him. But the McCarthy administration would change all that, revoking his passport and adding a travel ban on top of his Hollywood blacklisting, putting a stop to his acting career. Robeson did not slow down. Instead, he went about meeting with Albert Einstein to discuss world peace, publishing an autobiography, and adding Mandarin to his list of languages. One of the final straws was Robeson’s speech at the Paris Peace Conference in 1949, allegedly calling on black Americans to refuse to pick up arms against the Soviet Union. This resulted in him being branded a traitor. Although the exact wording of that statement has been subject of much debate, Robeson never explicitly denied being a communist, giving the government all the ammunition it needed. Crimea, Ukrainian SSR, USSR. 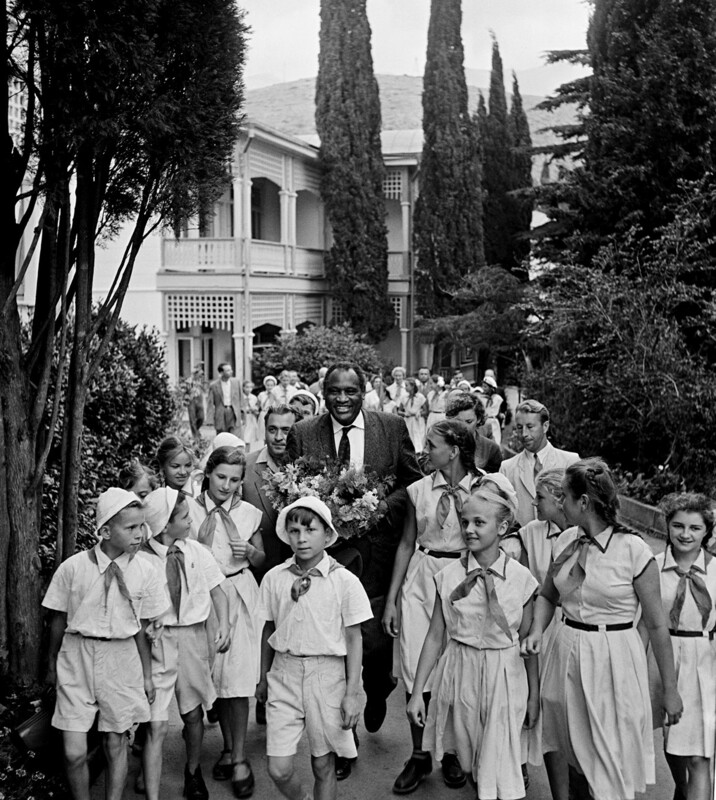 American singer and prize winner of the Lenin Peace Prize Paul Robeson among pioneers at the Artek International Children’s Centre. According to an essay by performance studies scholar Tony Perucci, the federal government was in a cozy relationship with American psychoanalysts. Both shared a “critical goal” – “to eliminate dissent against American political order.” According to them, the communists were such masters of disguise that only psychoanalysis could tear through the “red mask.”It didn’t take long to come up with a solution: anyone espousing communist ideas was to be declared insane. Speaking out about the Spanish Civil war, international labor, segregation, and colonialism were all considered un-American, earning Robeson the “psychopath” diagnosis. It wasn’t until 1958 that Robeson’s passport was restored thanks to the U.S. Supreme Court. He lived out the rest of his days in obscurity, and is said to have suffered physically and mentally until his death in 1976. 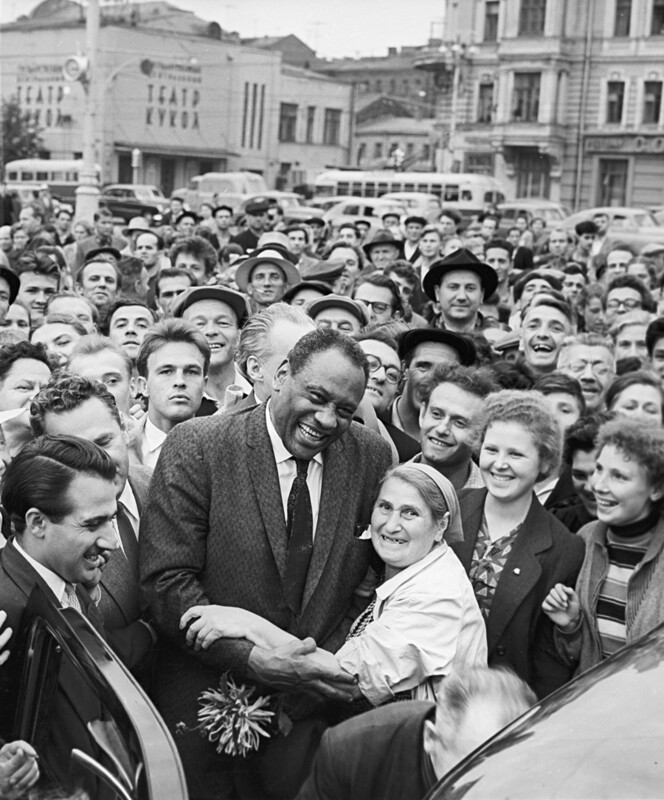 Soviet reality would change by the 1960s, but Robeson’s place in Russian history illuminates that historical period when people dared to dream that they were all on a path to a world free of racism. Sadly, we will never know about the private reservations Robeson might have had about the Soviet Union – which most of his contemporaries and allies had begun to realize wasn’t really the utopia it set out to be during Lenin’s rule. According to Maxim Matusevich, associate professor of history at Seton Hall University, U.S., Robeson’s son later insisted that he too harbored doubts about Joseph Stalin’s methods, particularly after some horrible revelations emerged following the dictator’s death in 1953. But Robeson never publicized them. Foreign musicians singing Russian songs? Balalike it! Trading lynch mobs for Stalin: Why did an African-American live in the USSR? How did Africans prosper in Tsarist Russia?